I’ll admit it. I’m a foodie. I was one of the first diners at Casa Mun. I’ve been to Aramburu. I had dinner with GAJO. I did The Pale Blue Door in San Telmo and almost all the other closed door restaurants too. I crave Osaka. Hell, I even made it to P.F. Chang’s opening weekend (no really, it is a big deal here). What I’m not is a food blogger. It’s just not my forte. Oh, I’ve had many plans to blog about some of these great meals, it just doesn’t often happen. I get home, stuffed and tipsy, and take a look at the iPhone photos of my food and realize, “Hmmm… it looked much better in person.” Then the desire to blog just fades away. Luckily, there are a number of awesome food bloggers in Buenos Aires to pick up the slack and provide the scoop on the best places to eat. They’ve given me tons of insight and tips on where to find the ultimate dining experiences, so I thought it was only fair that I share my favorites with you. Allie’s “Pick Up The Fork” is my go-to source for all the best tips on Buenos Aires dining. From closed door restaurants to cheap eats to the most exclusive places, she pretty much covers it all. You can see from her awards page and number of Facebook likes that a lot of other people agree as well. Her blogging has even launched the Buenos Aires Food Tour which will give you an awesome, non-touristy way to explore some of the best Buenos Aires dining spots. Frances’ “The Lost Asian” blog features her amazing food photography and reviews as she eats her way around the city. If I have only one complaint about the blog it’s that the photos make every place look really good, even if she doesn’t score them very highly. Sometimes I forget to read the text as the photos are just so mouth-watering. Frances’ food blogging has also lead to her own closed-door restaurant, The Hidden Kitchen, in Palermo Soho. While not “technically” a food blog, Sorrel’s personal blog has been featuring more and more restaurant and food reviews. She handles restaurant reviews, wine reviews and a lot more. It’s definitely worth Checking out. “Salt Shaker” is blog from Dan Perlman, food blogger extraordinaire and owner of Casa Salt Shaker, Buenos Aires’ first puerta cerrada. While the site design may be in need of an update, the information and reviews are not. Dan regularly reviews restaurants, alcohol, wine and his own dinners on the site and it makes for great reading. There’s been many places I’ve tried based on Dan’s recommendations. Paige’s “La Panza Portena” also provides great reviews and stunning photos of her Buenos Aires dining experiences. Follow her blog and I can guarantee you’ll find a number of new places to try. 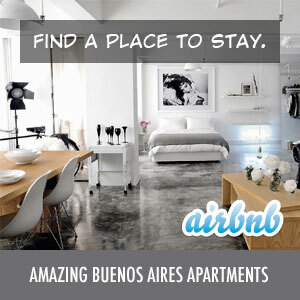 Maria shares information about the entire Buenos Aires food scene on her “Buenos Aires Foodies” blog. She covers restaurants, events, shops, resources and much more. She also has a food guide and gourmet shop available on the site. We only covered the English-language blogs of BA. There’s quite a few other amazing food guides and blogs in Spanish as well. You should be sure to check out: Guia Óleo (the Zagat’s of Argentina), Restorando (the Open Table of Argentina) and Planeta Joy. Those are our favorites. Hope they help steer you in the right direction as well. Please let us know in the comments if you have some other favorites of your own.